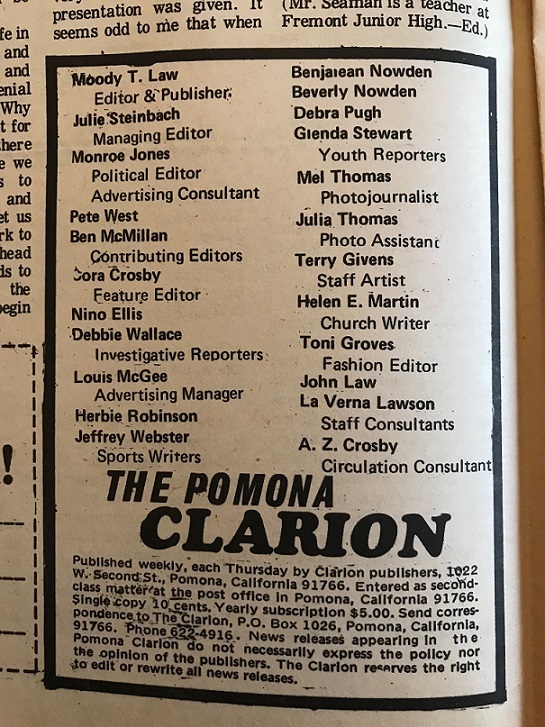 A friend recently showed me a stack of copies of a rare newspaper: the Pomona Clarion. Motto: “Serving Beautiful People.” It was published for the black community from 1969 to 1974 by Moody Law and his wife, Norma. The paper was a sideline for both; he was a lab manager and she was in corrections. She died March 7 at age 81. It’s even more a part of history a decade down the line. My friend is going to donate his Clarions, but he let me flip through them. 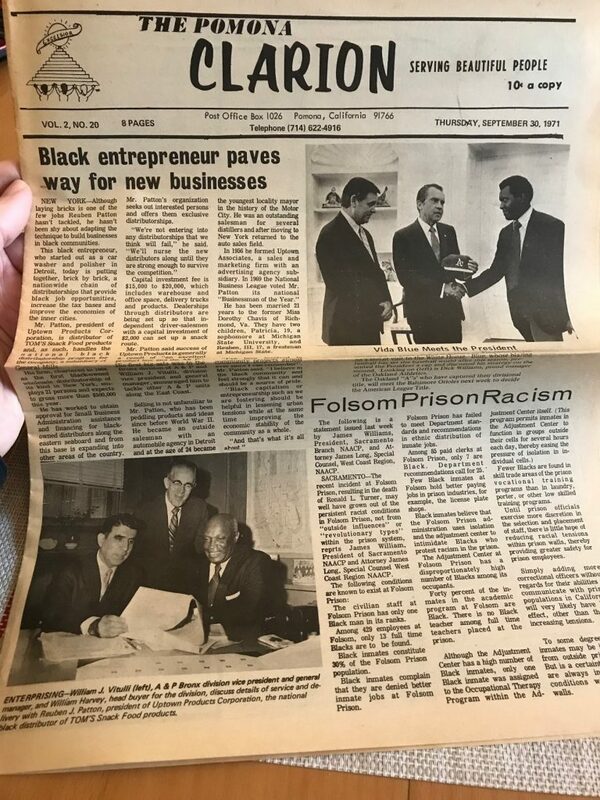 There were success stories about black figures in the community, and stories, opinion pieces and satirical cartoons about local injustices, including a bar that refused to serve a black couple and a march against the Chino Valley Unified School District over a racial matter. The ads were of interest too, often of long-gone stores and restaurants that catered to blacks. Here are a few. 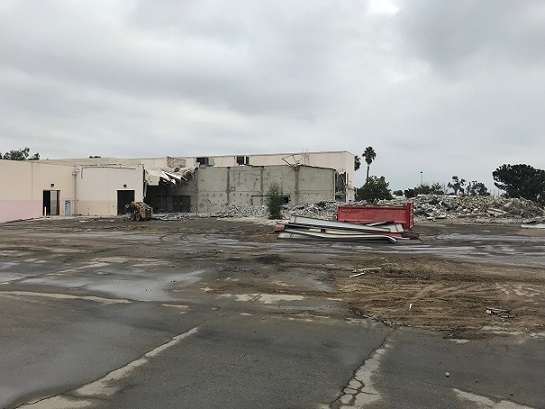 Note that the addresses of all three businesses is the 2400 block of North Towne, apparently the same center, or its predecessor, that now has a Walmart Neighborhood Market, Dino’s Burgers and more. Click on them, or the newspaper above, for a clearer view. 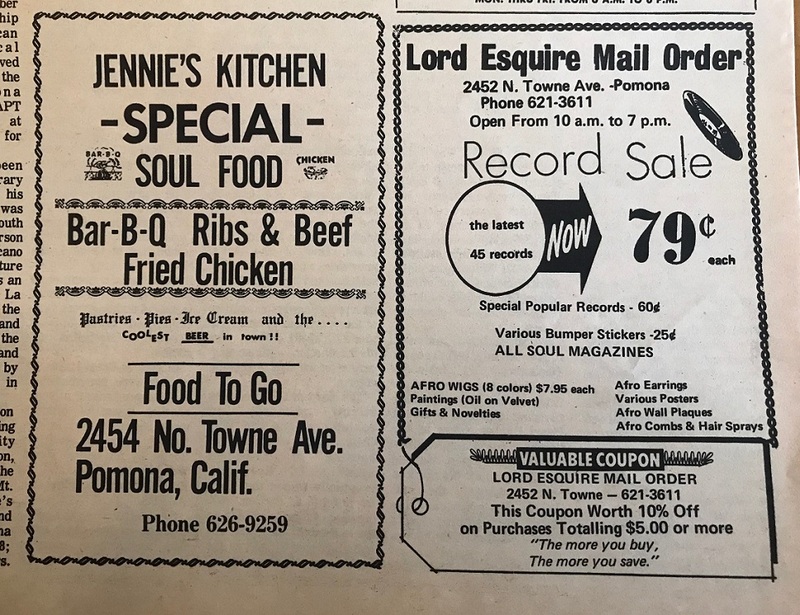 I wish I could try the soul food at Jennie’s Kitchen and check out the records at Dynamic Sound Center and Lord Esquire, while also surreptitiously ogling the latter’s “afro wigs” (in “8 colors”) and “oil on velvet” paintings. Here’s the staff box from the same 1971 issue as pictured above. It must be said, it would be hard to invent a name with more gravitas than Moody Law. Reader Andy Sze of Rancho Cucamonga does a lot of traveling for work. 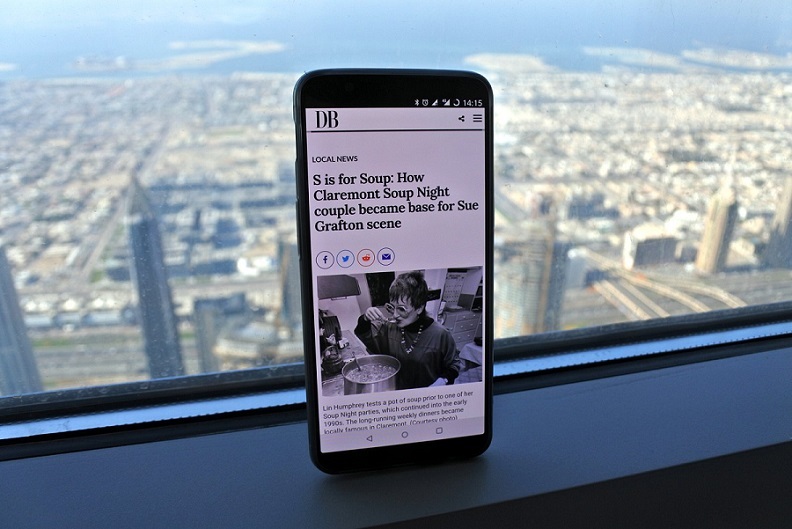 Sightseeing recently in Dubai, he accidentally left his Daily Bulletin in his hotel, but he improvised a Daily Bulletin on Vacation photo, recalling that I’d once said some readers used their phone or tablet to call up our paper. 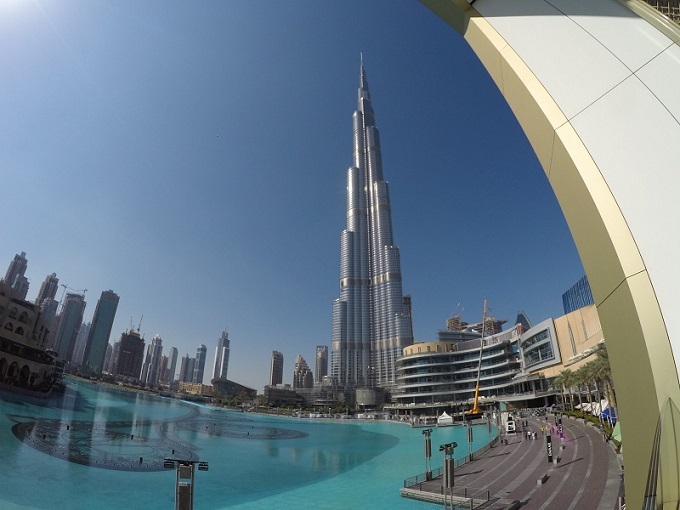 For his photo, Sze opened up one of my columns while in the world’s tallest building, the 163-floor, 2,722-foot-high Burj Khalifa. See below. Why, it’s almost like I was there, at least in spirit. Thanks, Andy. 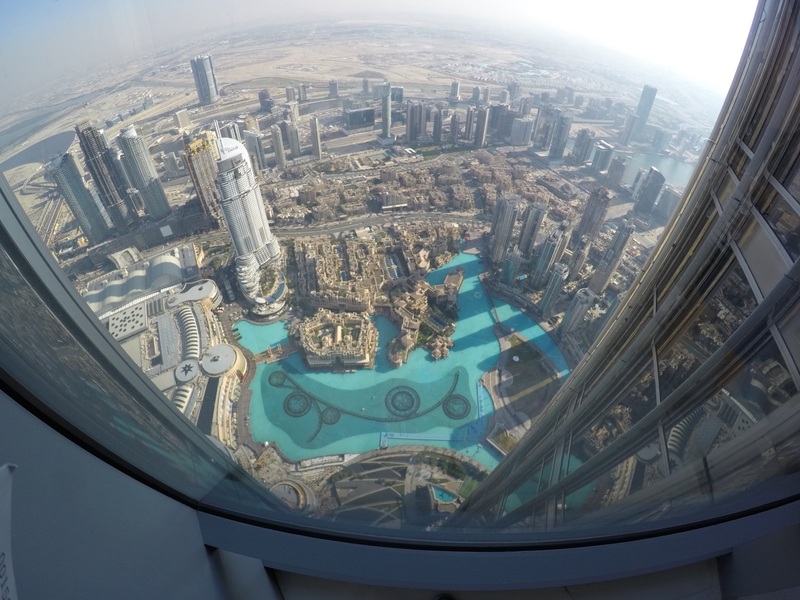 It’s probably just as well I wasn’t there, as I’m scared of heights. Click on his photos for a larger view. But you may wish to hold onto something when you open the one with the view down. 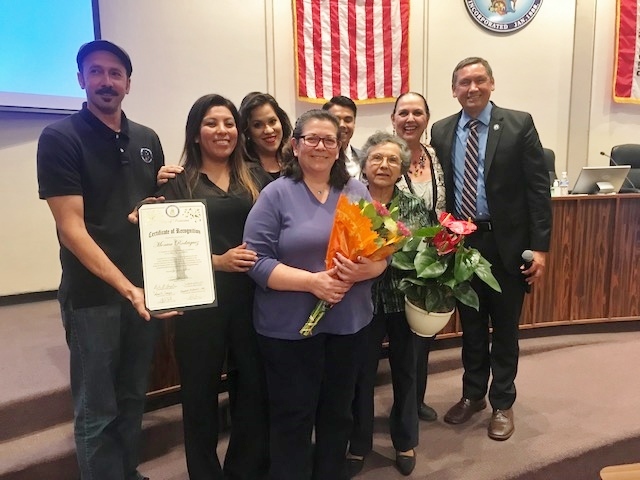 Sunday’s column pays tribute to my former colleague Monica Rodriguez, who got a warm sendoff from the Pomona City Council last Monday. 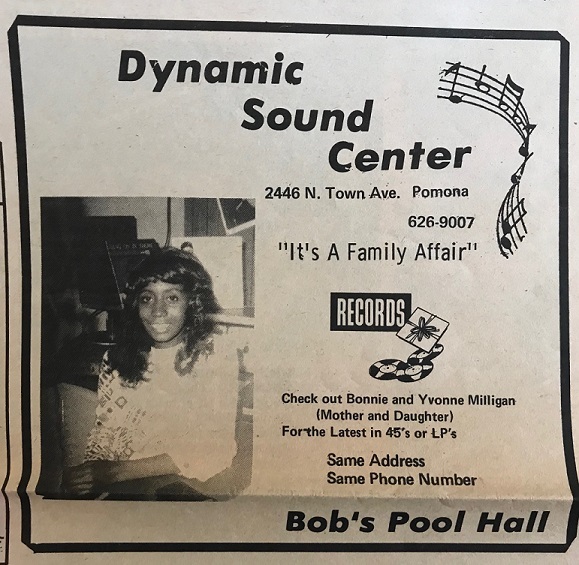 I went there to be supportive and thought I might write an item on it, but some of the comments were really touching, and the whole thing provided an opportunity to reflect on newspapers and on Pomona. Left to right above, Rubio Gonzalez, Adriana Robledo, Ginna Escobar, Monica Rodriguez, Robert Torres, Cristina Carrizosa, Elizabeth Ontiveros-Cole and Tim Sandoval. 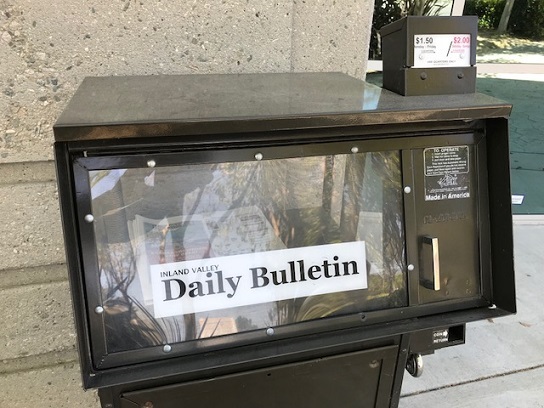 Column: Another year in newspapers; how many more? Sunday marks 31 years for yours truly in newspapers. While not a round number, the anniversary provided an excuse to write about the uncertainty of my field of work, which I do in Sunday’s column. Above, a newsrack outside our office. 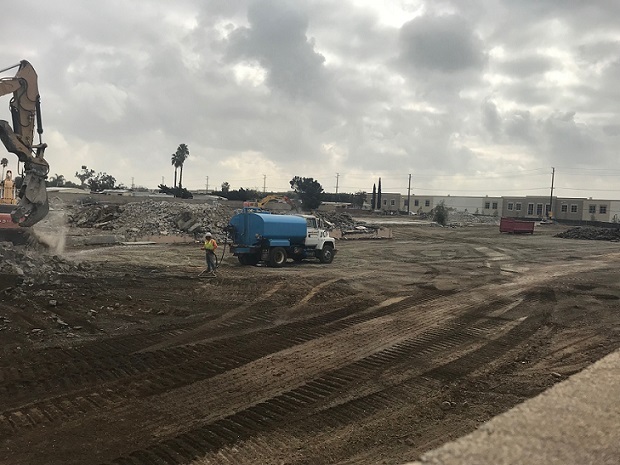 For 30 years the Inland Valley Daily Bulletin had its offices at 2041 E. 4th St. in Ontario, the first home the newspaper had after consolidating the Ontario Daily Report and Pomona Progress-Bulletin into one modern headquarters in 1985. 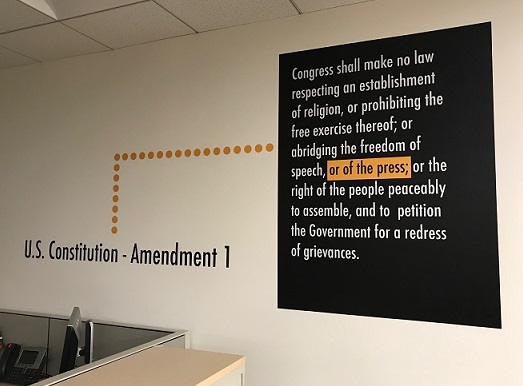 But as has become the way of things for newspapers, we no longer needed all that space due to staff cuts, consolidation elsewhere and an end to printing the paper in Ontario. (The back half of this 2013 column talks about our printing presses.) 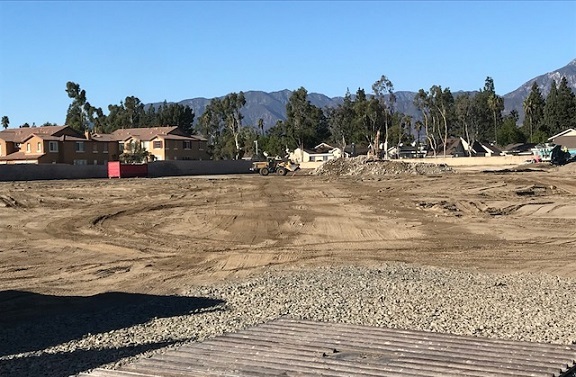 So we moved a few blocks east to leased quarters at 9616 Archibald Ave. in late 2015, our printing is now done in Riverside and our old property was put on the market, where it languished — until recently. 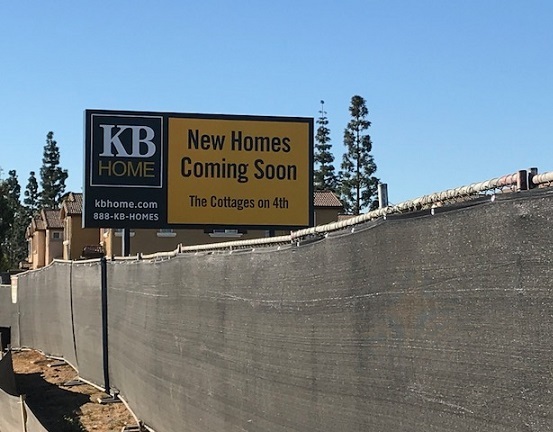 KB Homes bought it up, bulldozed the building and ground up the concrete to make way for a housing development to be named The Cottages on 4th. They will replace what we might have called The Bunker on 4th, as it had no windows. I wonder if KB Homes will give preference to former Bulletin employees? On second thought, nah. We spent more than enough of our lives on that piece of ground. Time to let someone else occupy it. Photo above and below by Wayne Iverson; bottom two photos by me. 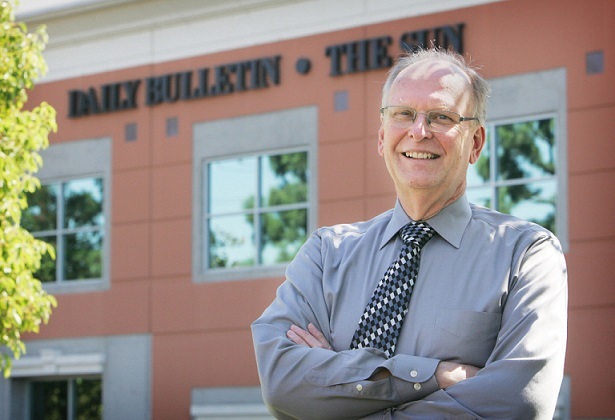 One of our number is departing: Mike Brossart, who’s worked for the Daily Bulletin and Progress Bulletin for a combined 42 years, retires Friday. I write about his career, including some colorful newspaper stuff from his Progress-Bulletin years, in Wednesday’s column.